It’s great to know that people are becoming more concerned with our environment. They now opt for nature-friendly mode of transportation, the kind that allows them to save on fuel cost at the same time provide positive impact on their well-being—the bicycle. Bicycle is fast becoming popular in many places like Northern California, New York, Oregon, and other countries across the globe. Based on studies, nowadays, more and more people prefer riding their bikes than car. The numbers do not even include the recreational bikers. Sad to say, the increasing popularity of bicycle gives rise to more cases of bike theft. But with the help of GPS tracking, the number of crimes involving bicycle is slowly dwindling. Bikers are now turning to GPS trackers to help them protect their bikes from robbers, a great move that will definitely help reduce cases of bike theft. Live GPS trackers allow users of bike with GPS to monitor their ride 24/7 in real time. They can view the actual location of their bike on their mobile phones or desktop computers. But the most obvious advantage of a real-time tracker is its ability to send alert to the owner through a text message or e-mail the instant the bike is moved from its post without permission. This allows the user to recover his stolen bike the soonest time possible. 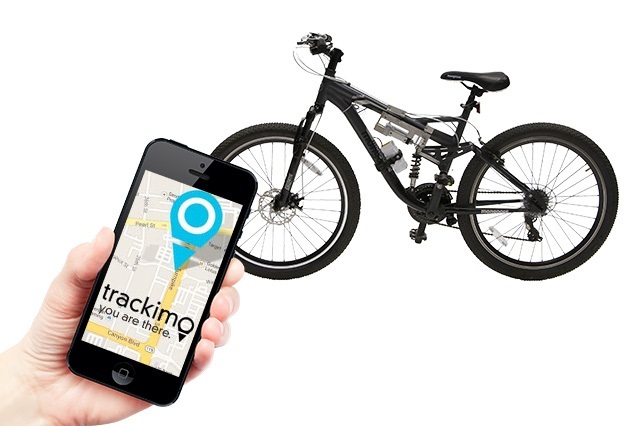 Bike tracking device is more than just a protection for your assets. It can also log mileage, routes traveled, etc. The data collected are useful for bikers who want to keep tab of the distance they traveled over a certain period. GPS trackers such as Trackimo are portable and multifunctional. It can be used for personal or vehicle tracking. Regular bikers, those who use bike as their main means of transportation, are 90 percent more likely to lose their bikes to a robber. Only 3 percent of the reported stolen bikes are recovered. Most bike theft incidents happen within a few kilometers from home. Almost half of the bike community have lost their bike to thieves at least once. Unlike bike theft, vehicle theft is not often reported to local police; otherwise, government would have made some changes to laws. The statistics above were based from the research made on Montreal bicycle riders. Security of your bike is as important as your vehicle’s. With law enforcement offering little help to bikers in finding their stolen assets, bike owners need GPS tracking technology to safeguard, prevent and recover their bikes from thieves on their own, and lastly help reduce cases of bike theft.